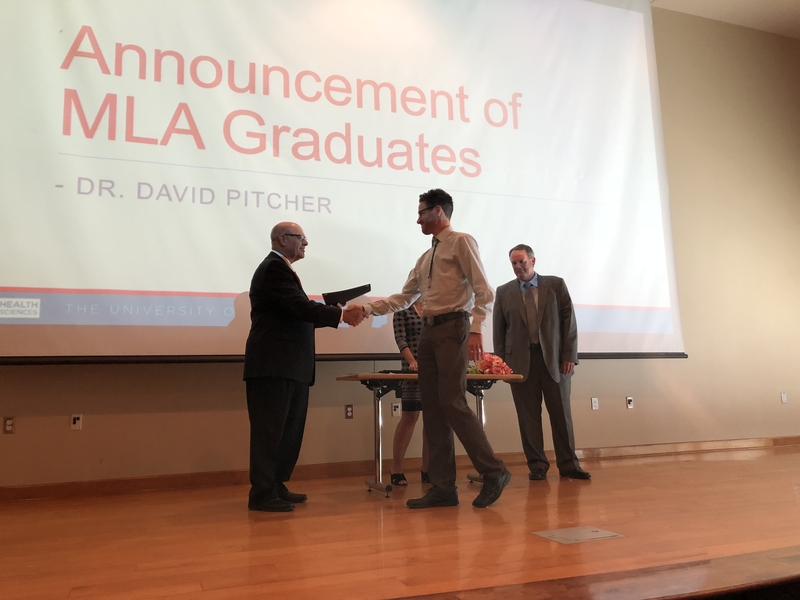 We all remember our graduation day, right? 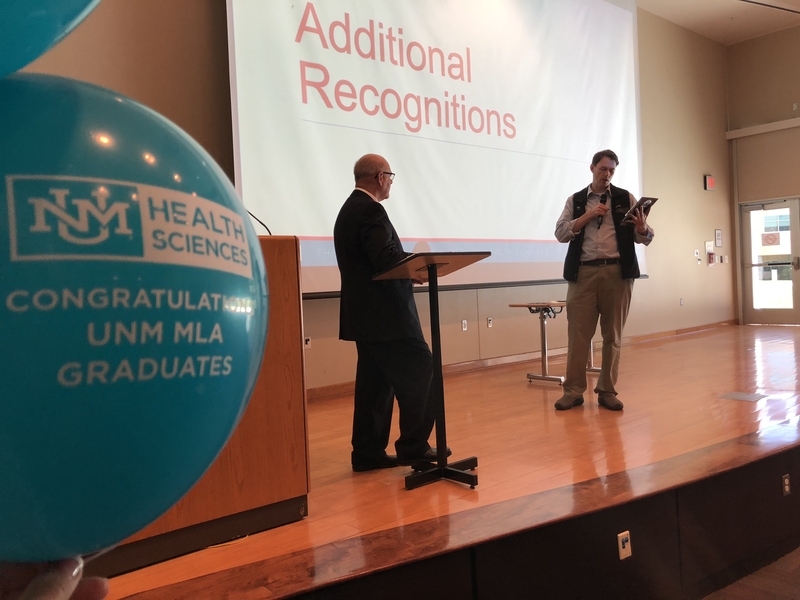 For some of the doctors sitting in the front row, graduation programs and mementos had stacked up over the years. 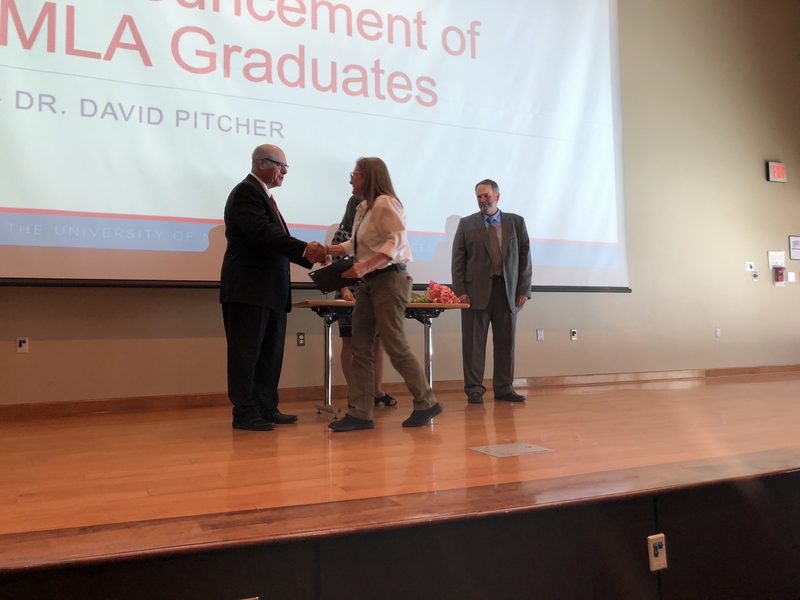 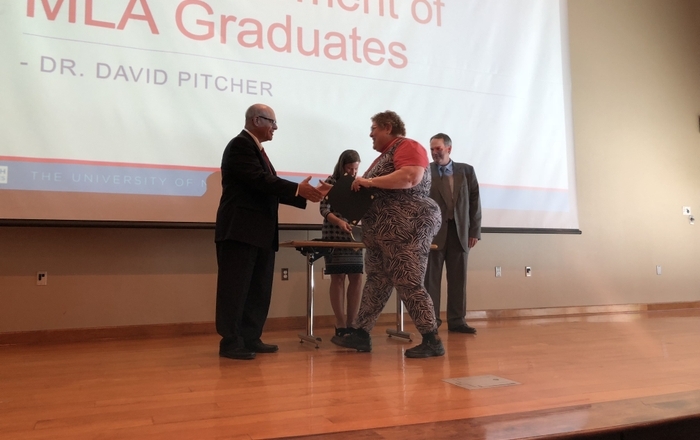 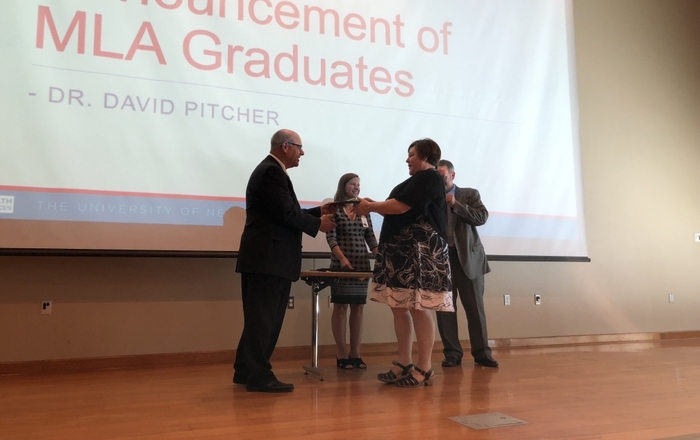 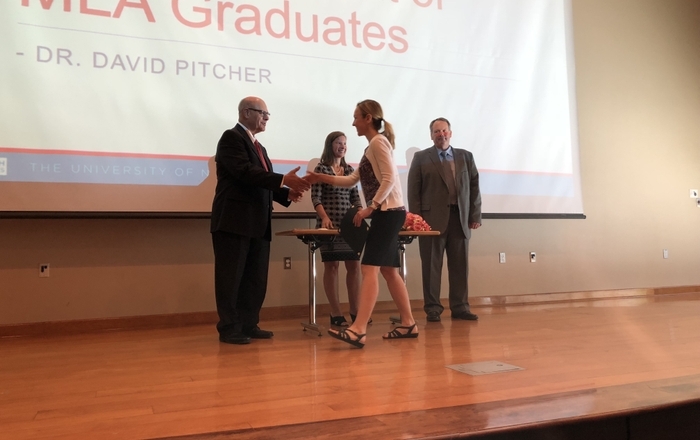 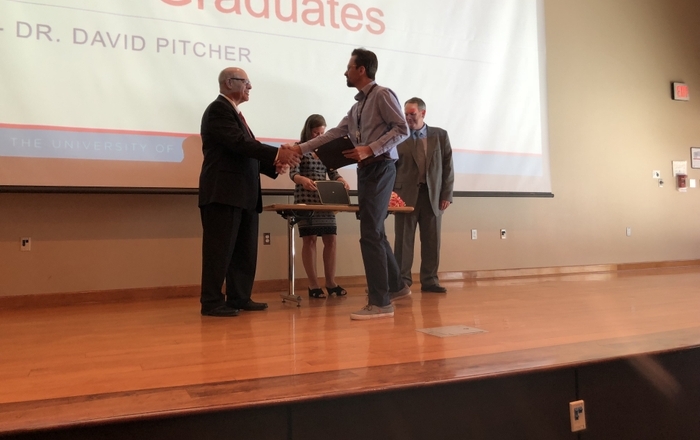 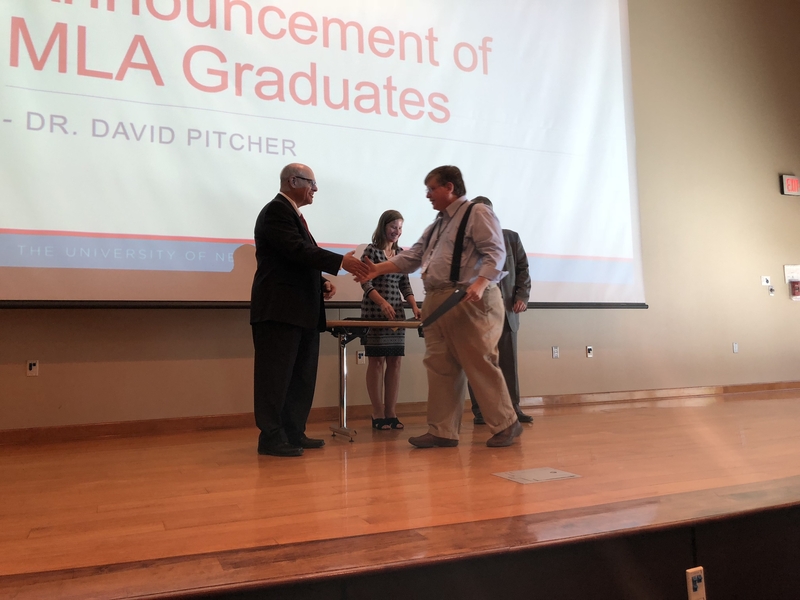 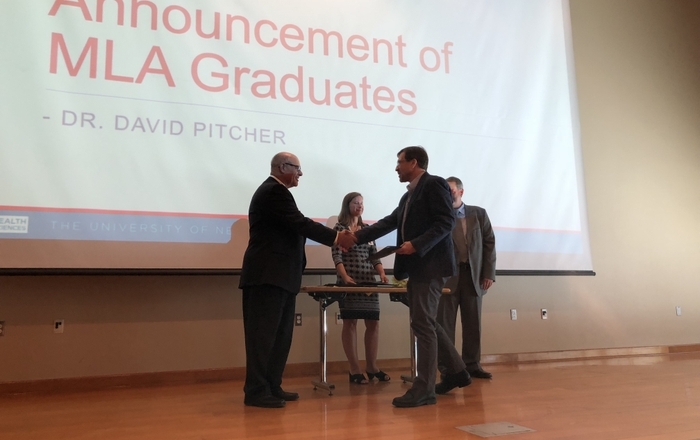 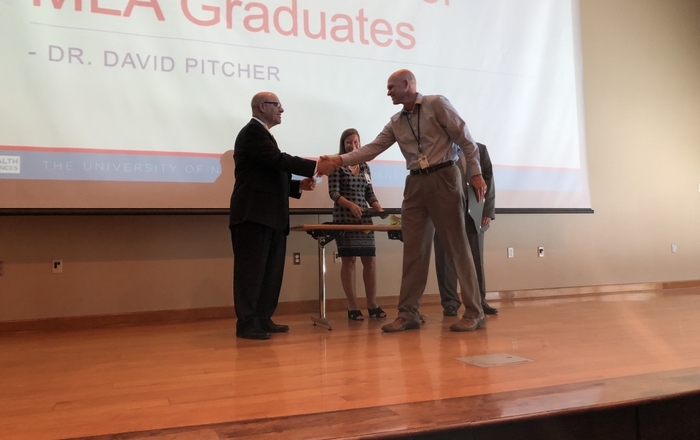 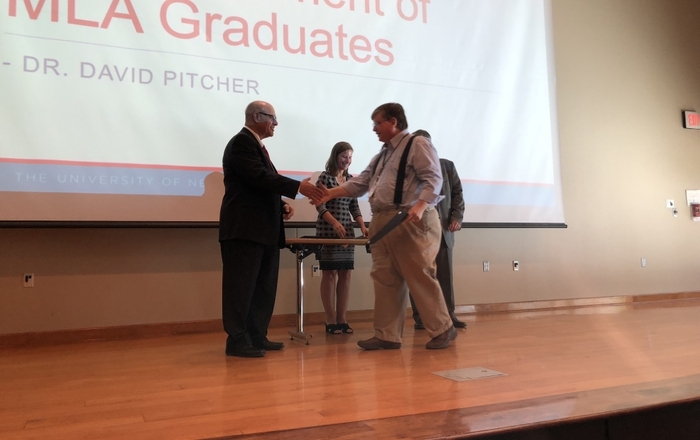 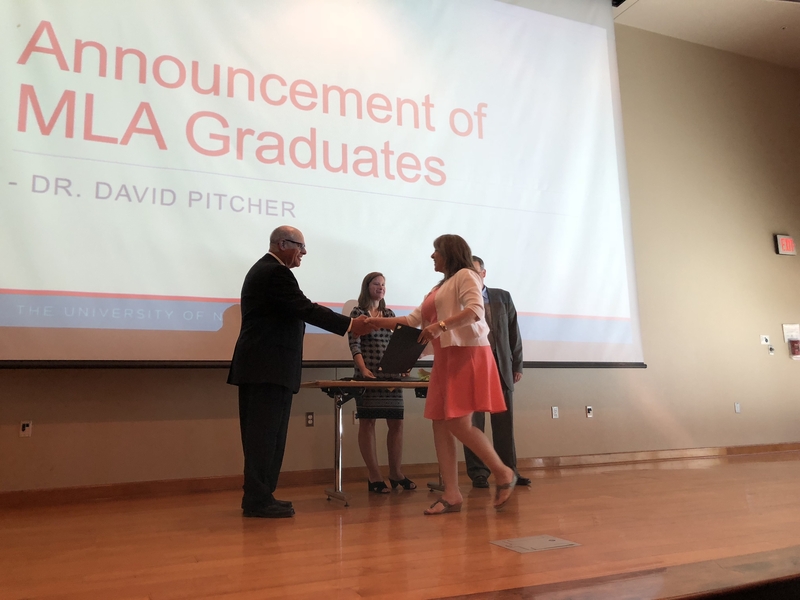 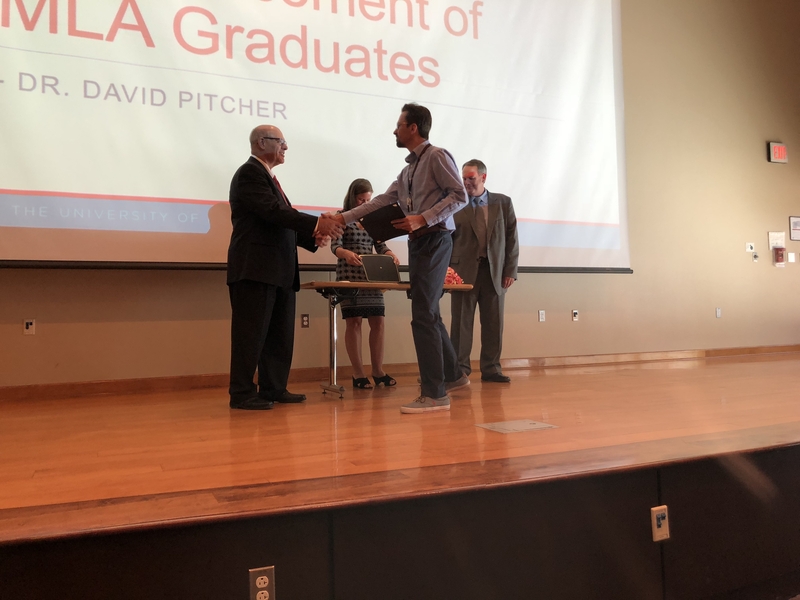 As Robert Fritch, DO, surveyed the group, multiple hands were still up when he asked how many had more than five graduations at this point in in their lives. 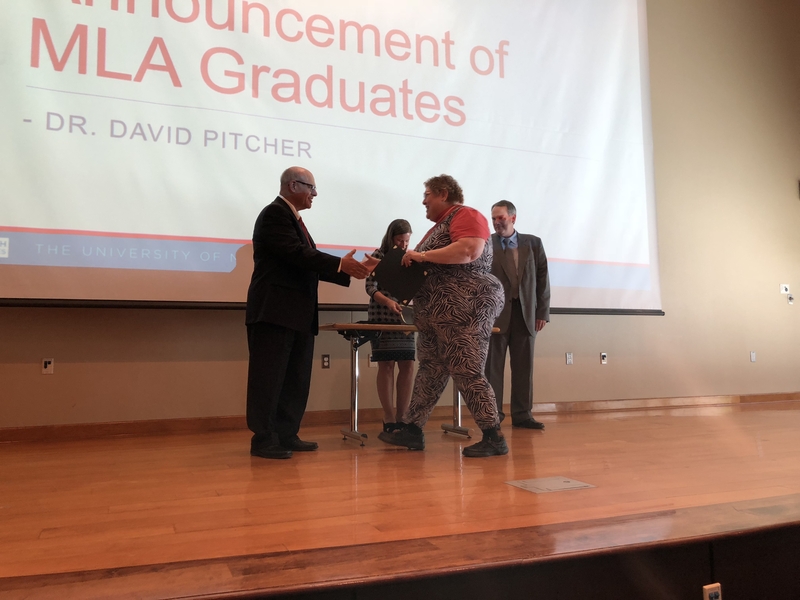 This group of graduates was different. 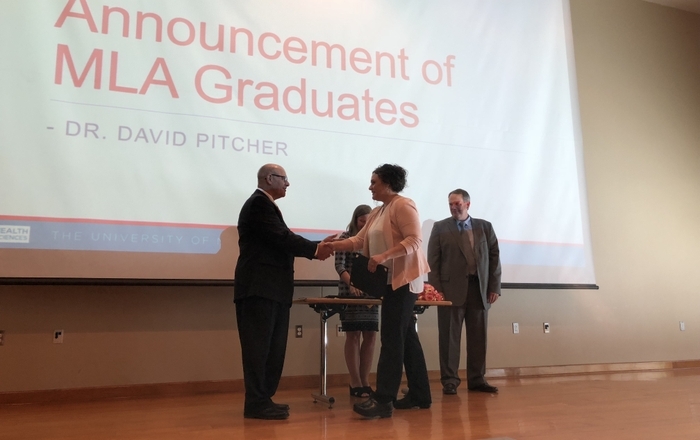 They were older than you would expect, established in their careers and even in leadership roles. 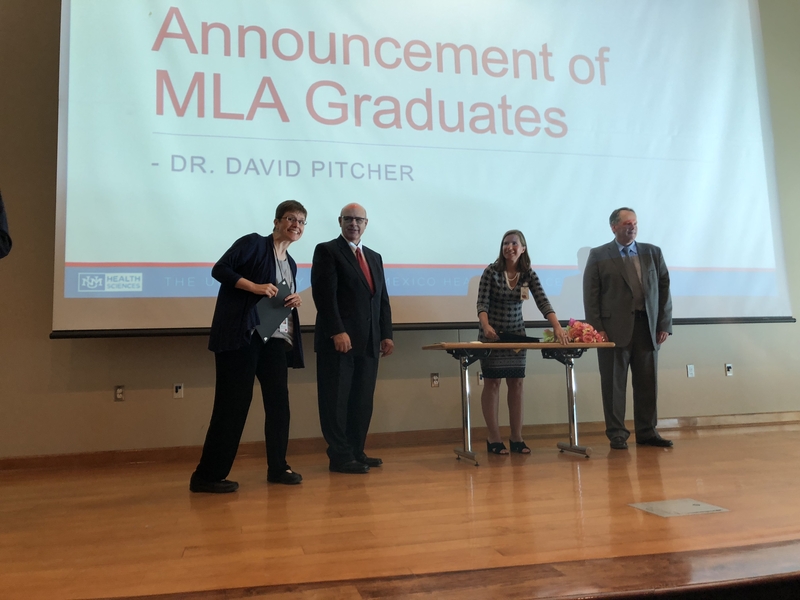 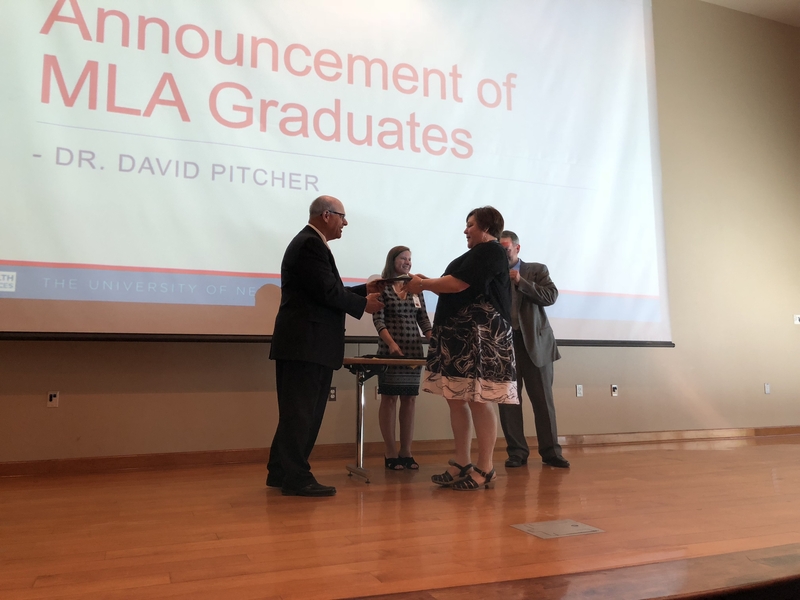 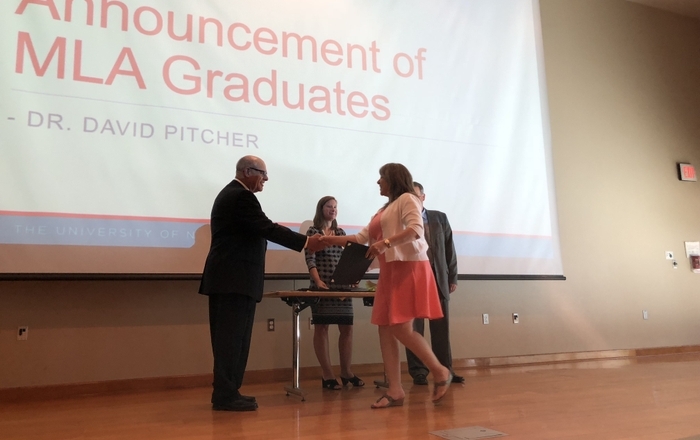 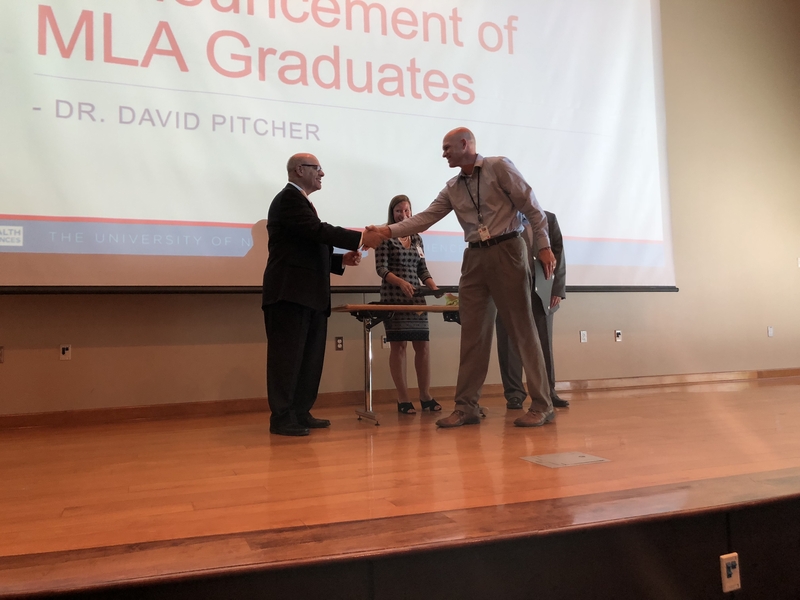 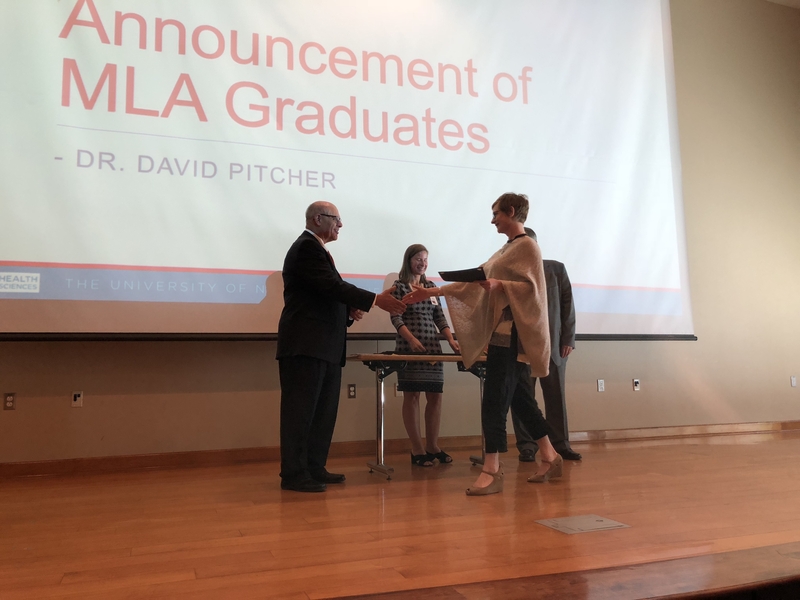 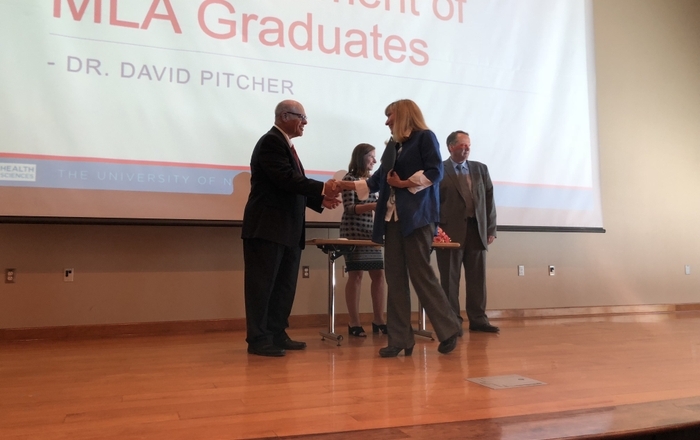 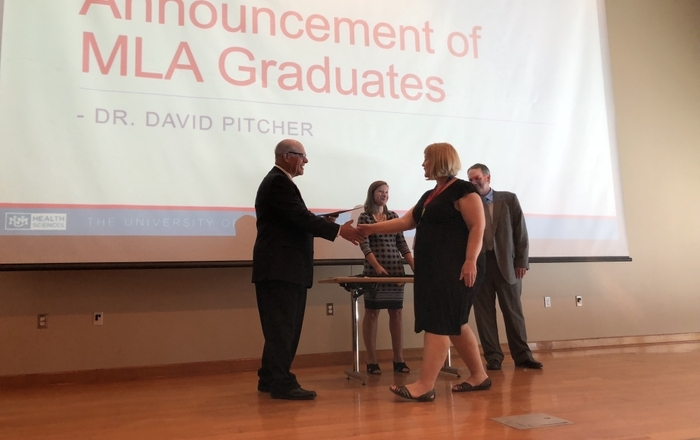 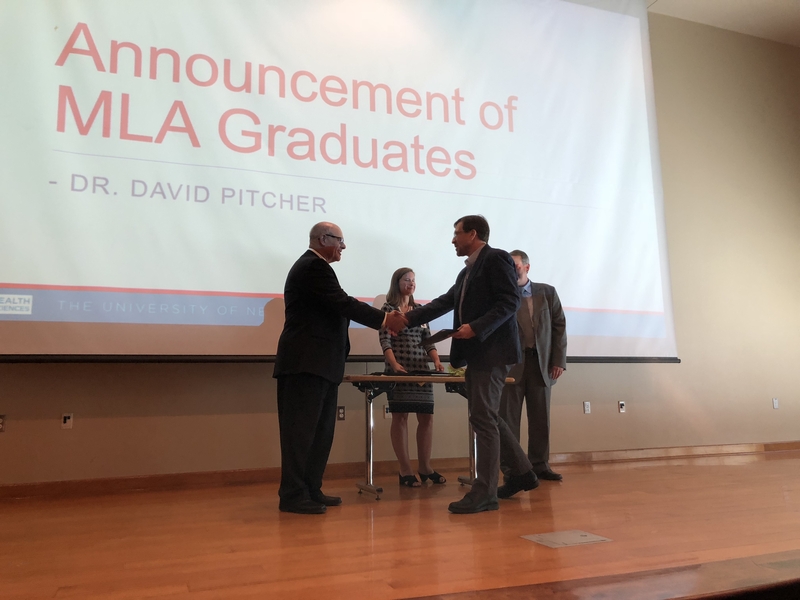 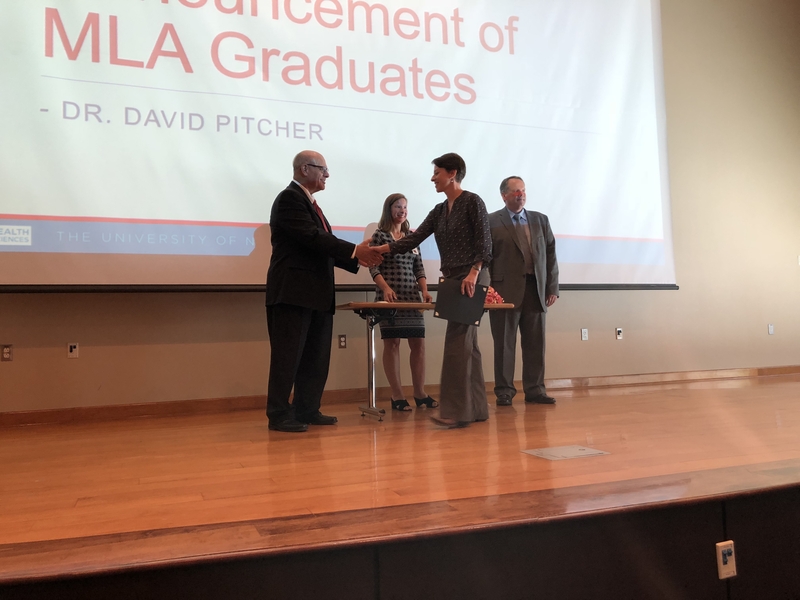 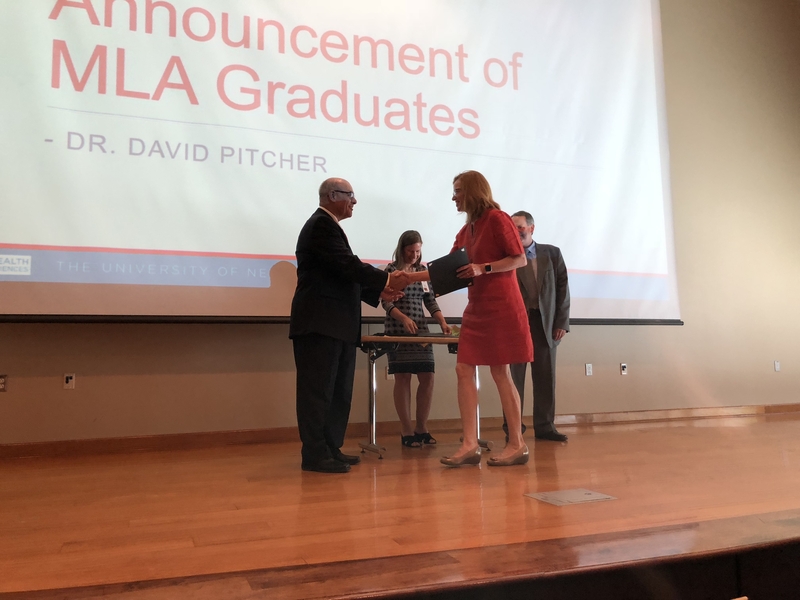 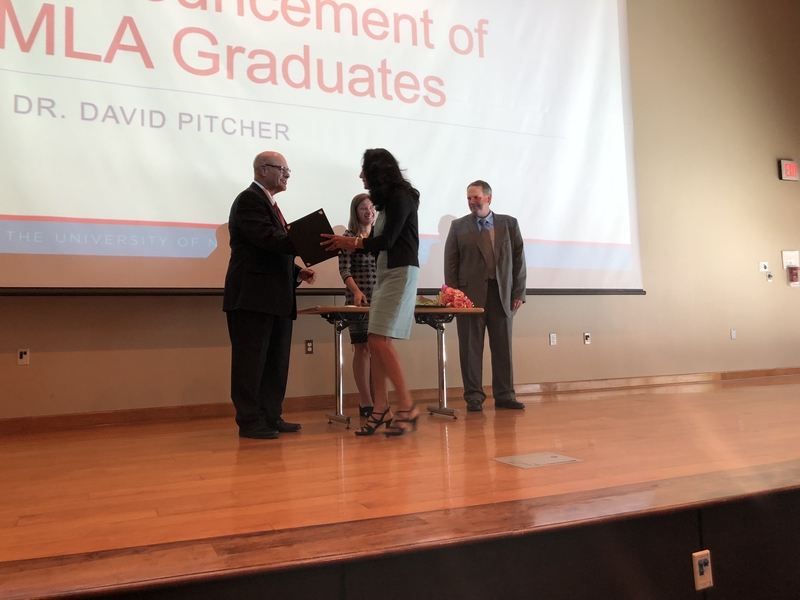 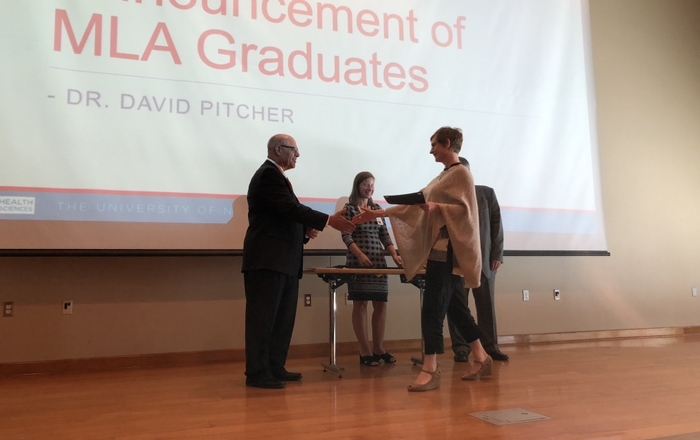 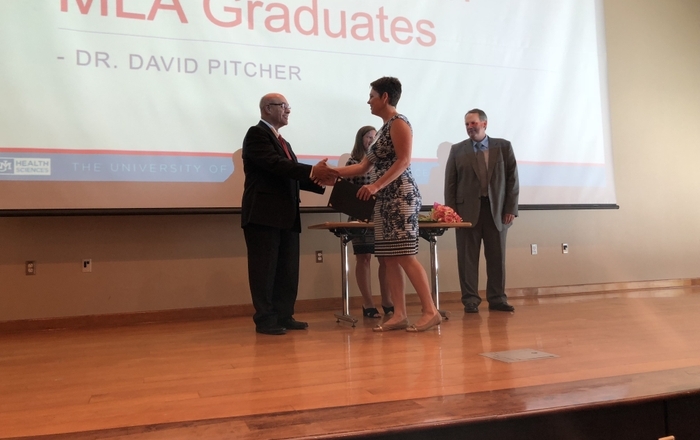 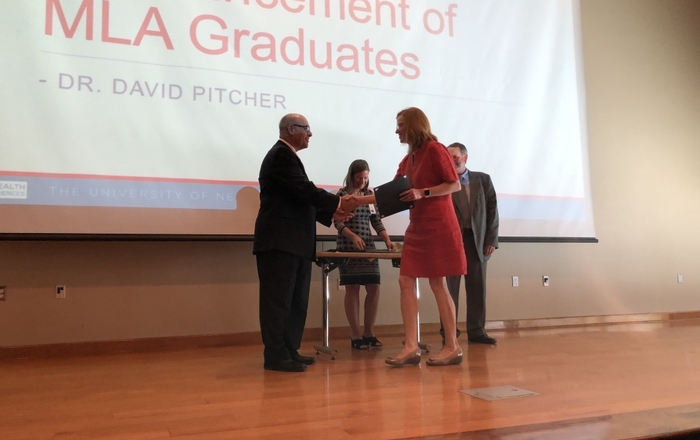 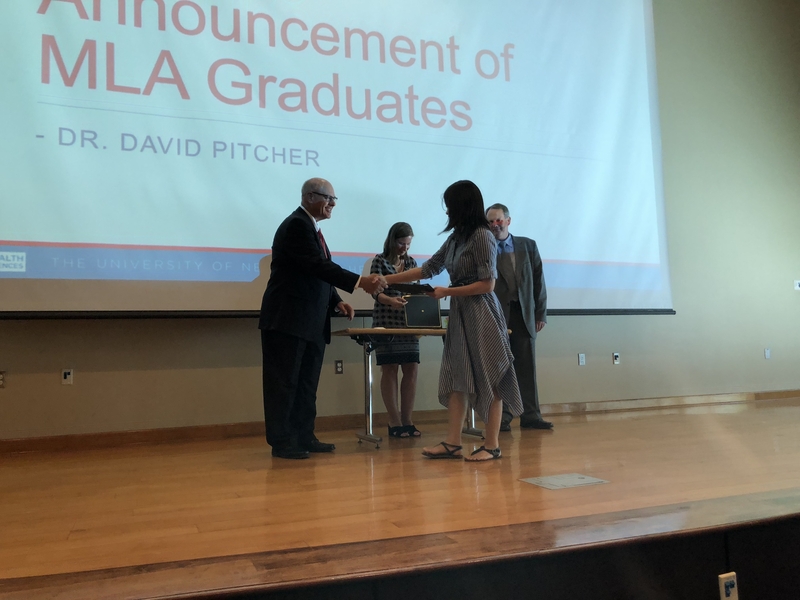 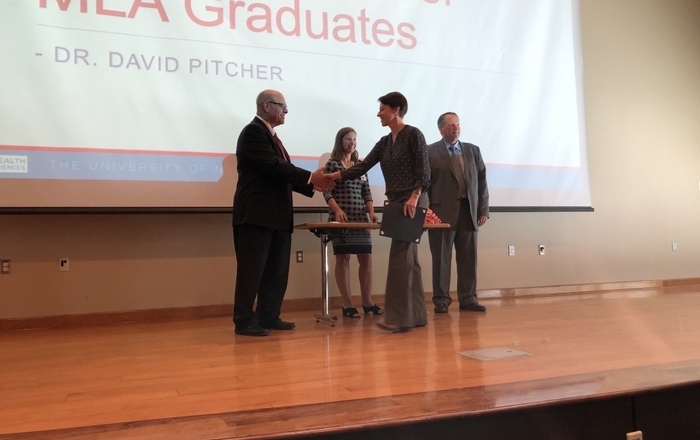 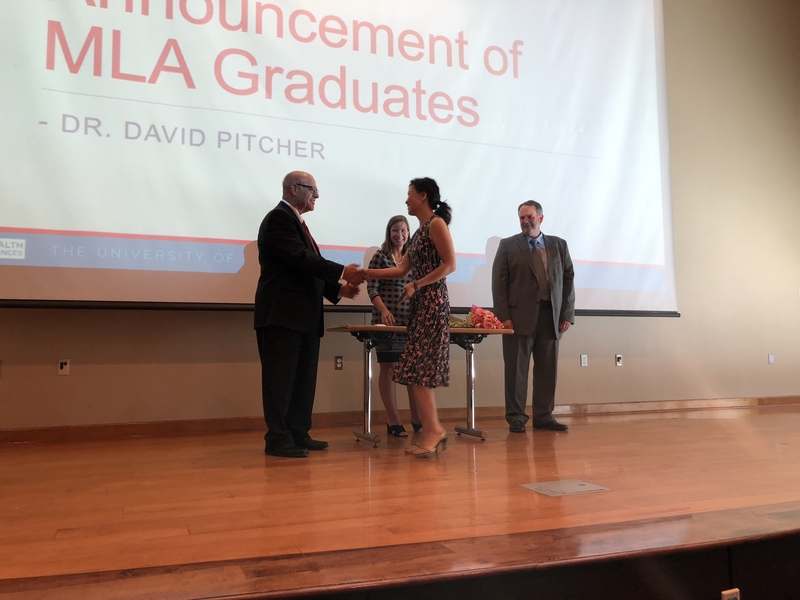 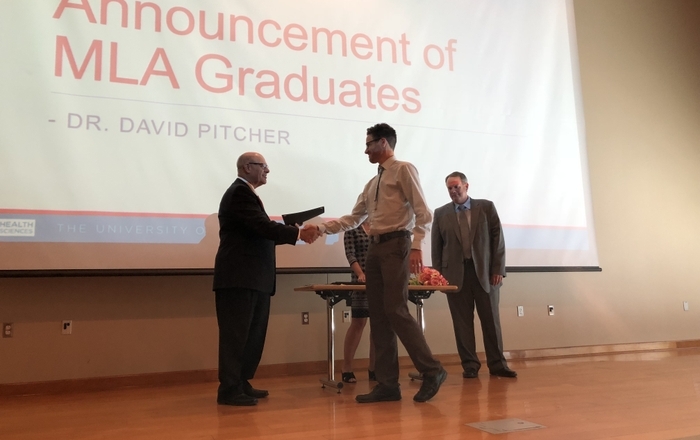 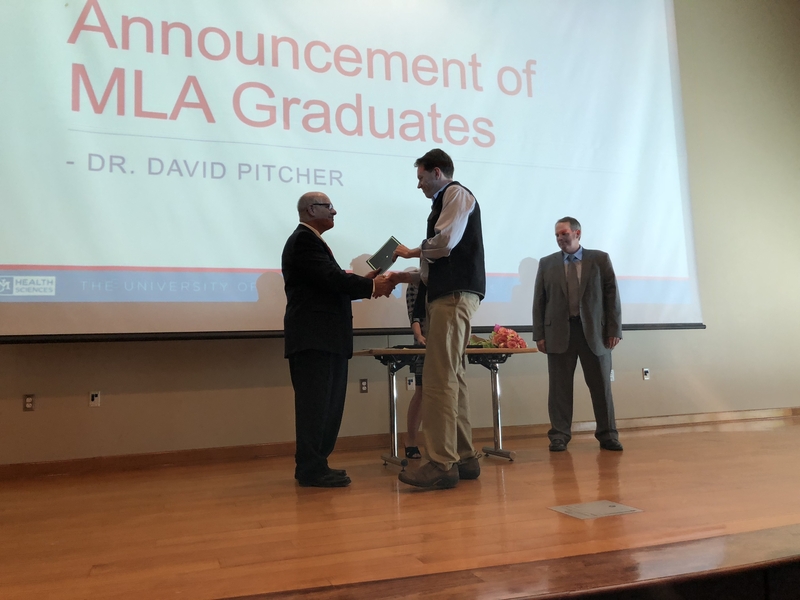 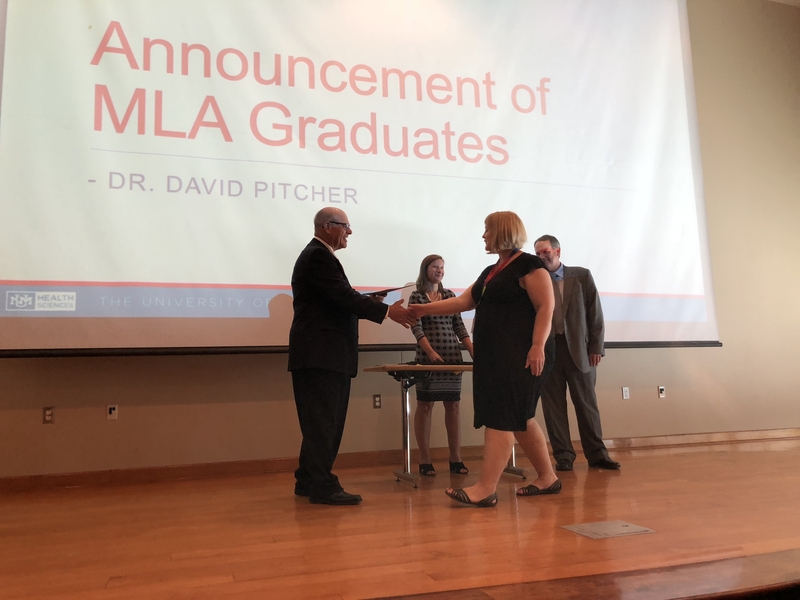 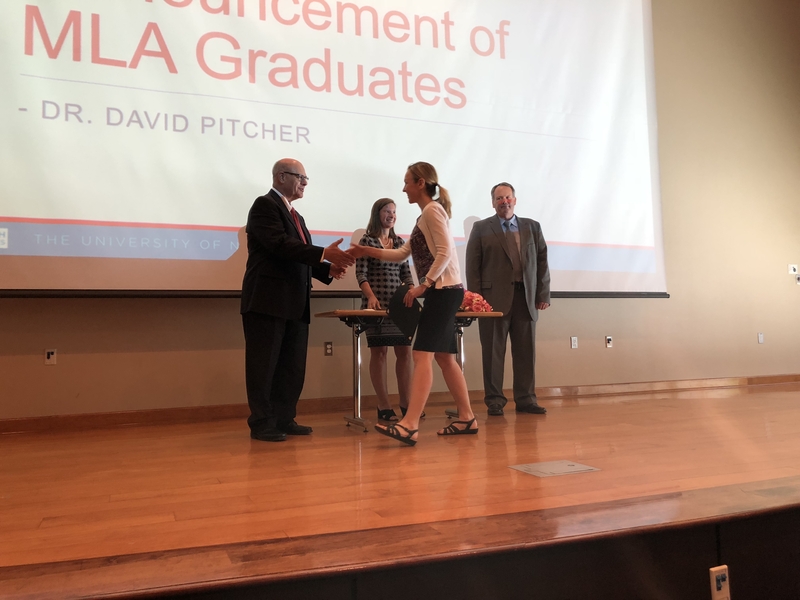 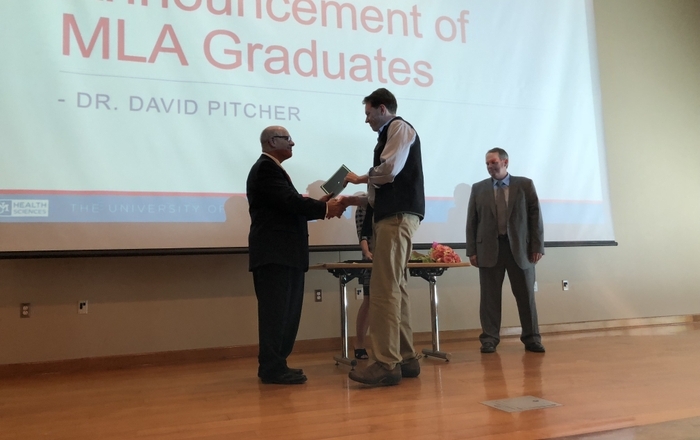 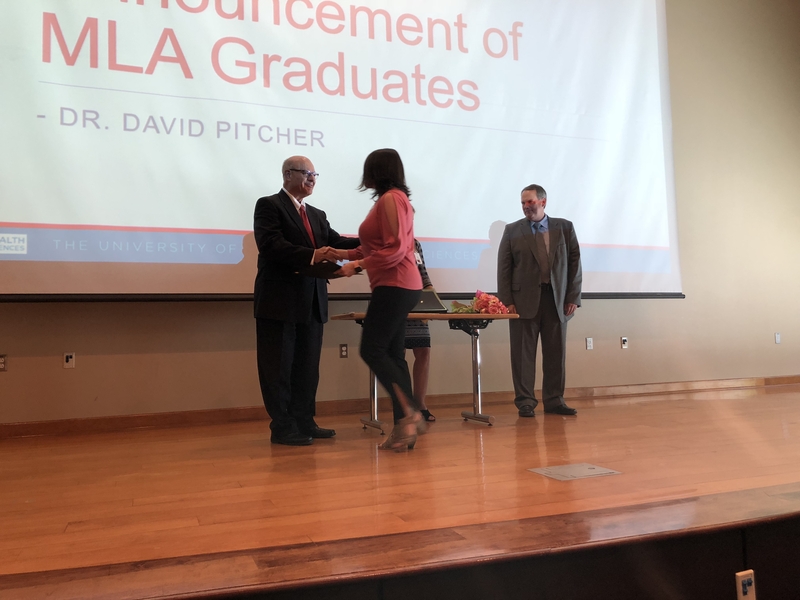 But for some, the two-year Medical Leadership Academy had reinvigorated their commitment to medicine, to The University of New Mexico’s Health Sciences mission and to each other. 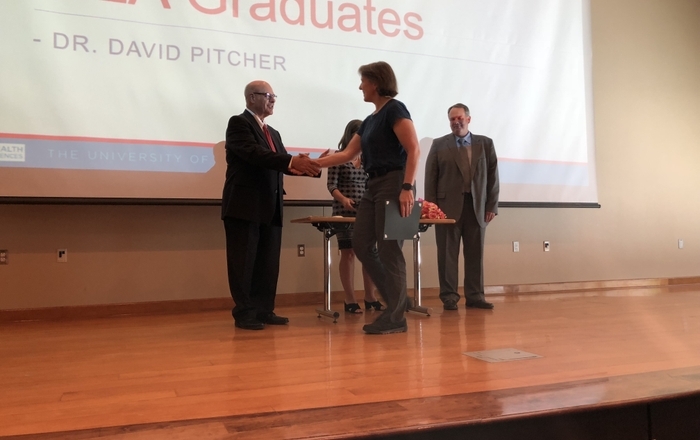 Born out of a need for high-level, small-group leadership training, the academy has graduated 105 faculty members over the past six years, with the most recent graduation coming just this week. 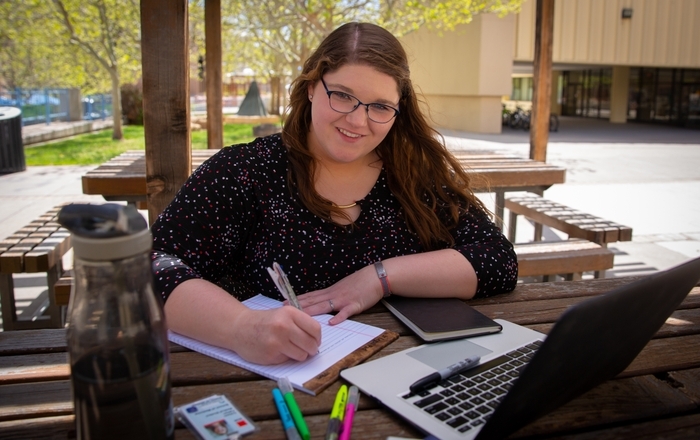 The nomination-based application process is only getting more popular and competitive each year. 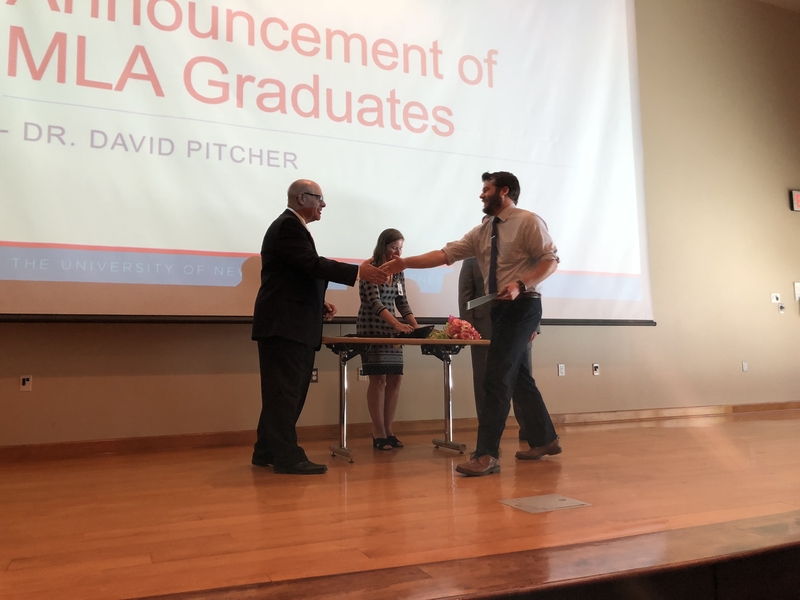 The most recent round of nominations produced three times as many applicants as spots available Fritch said. 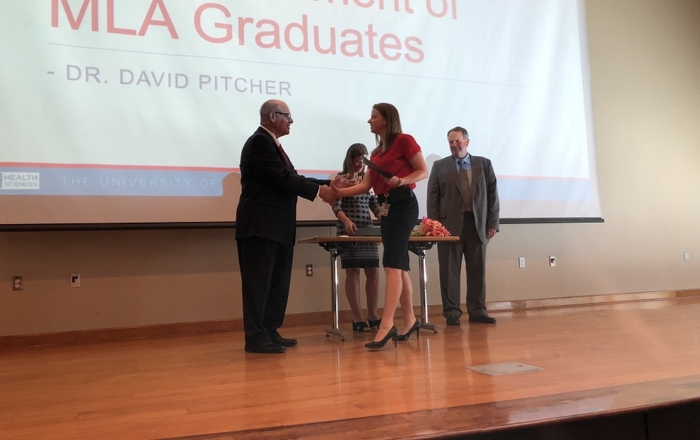 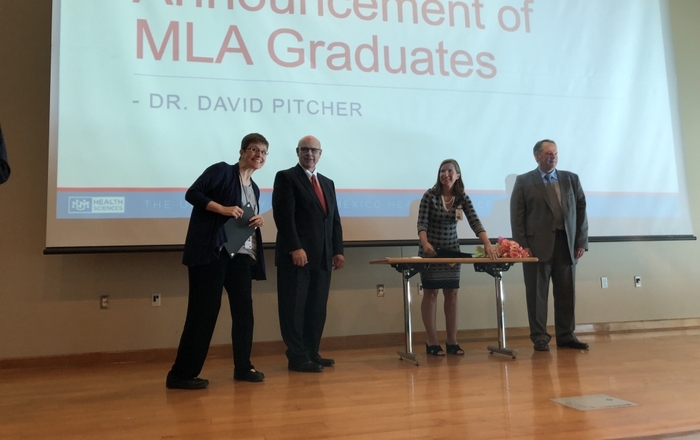 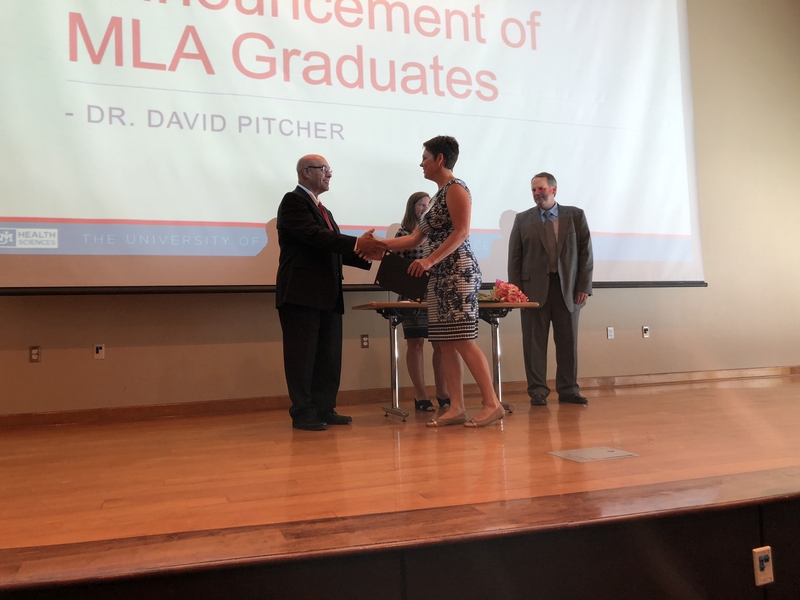 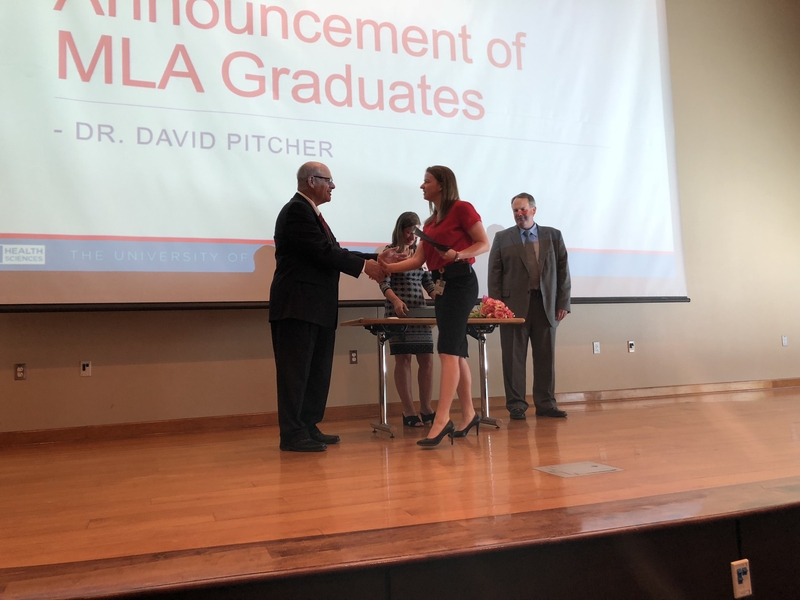 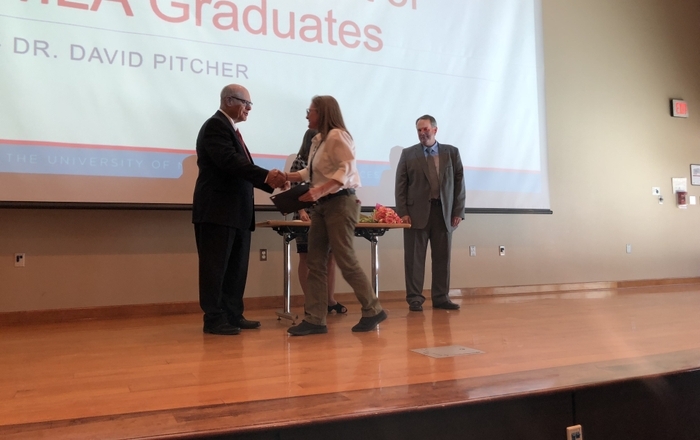 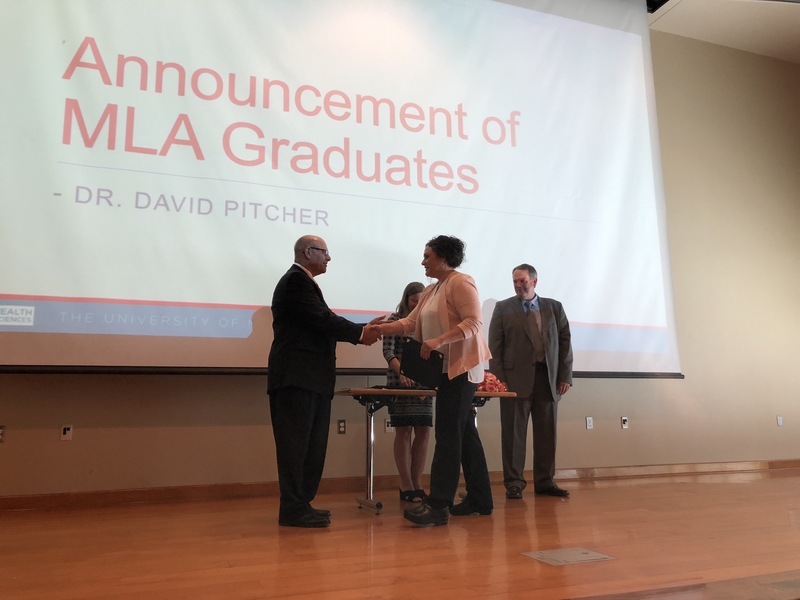 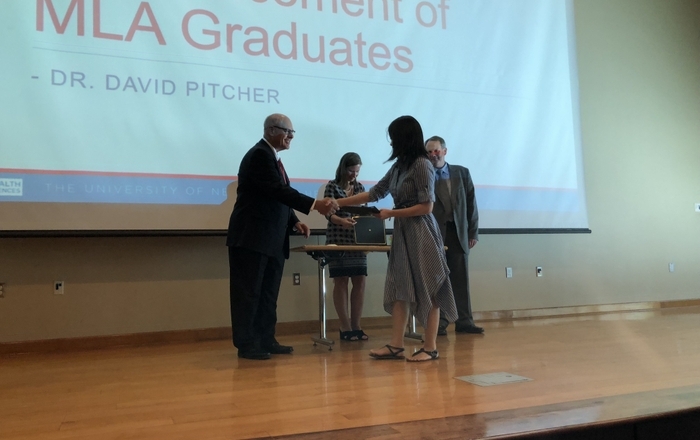 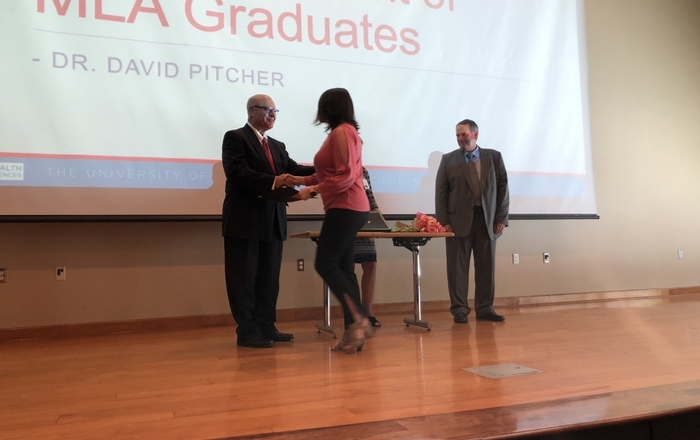 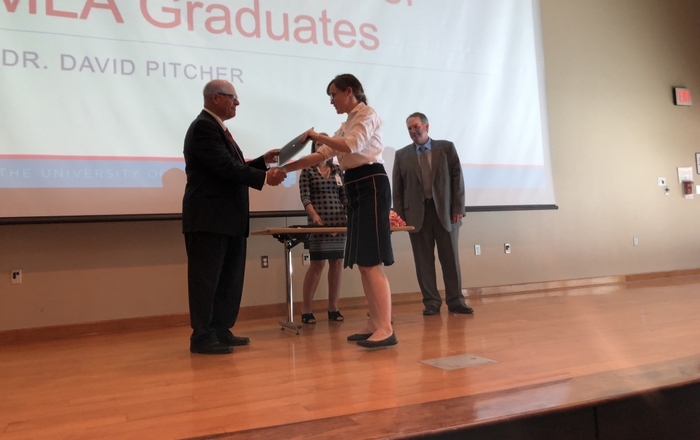 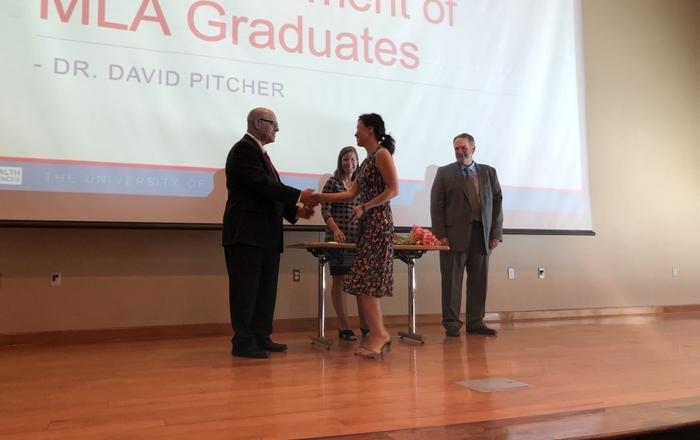 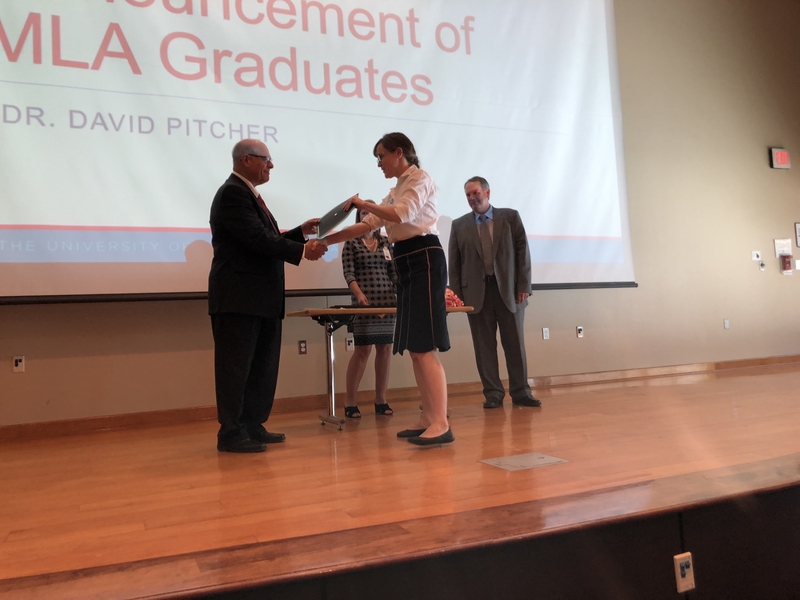 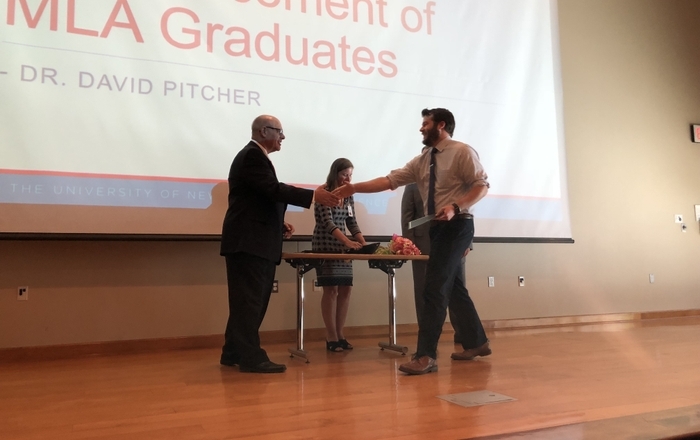 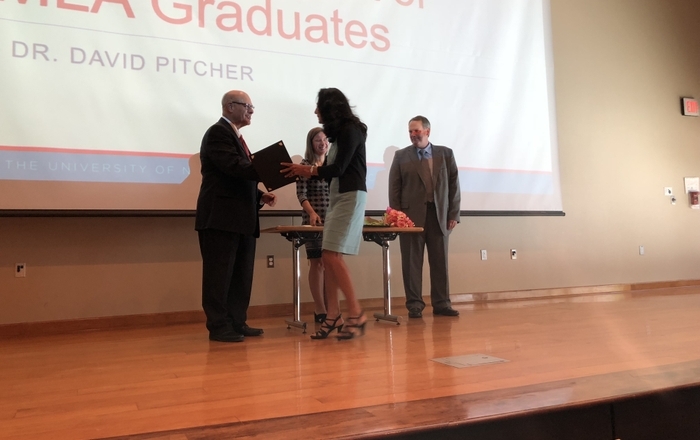 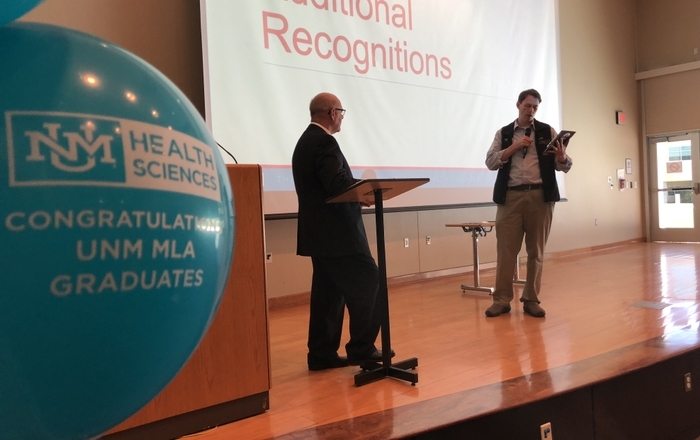 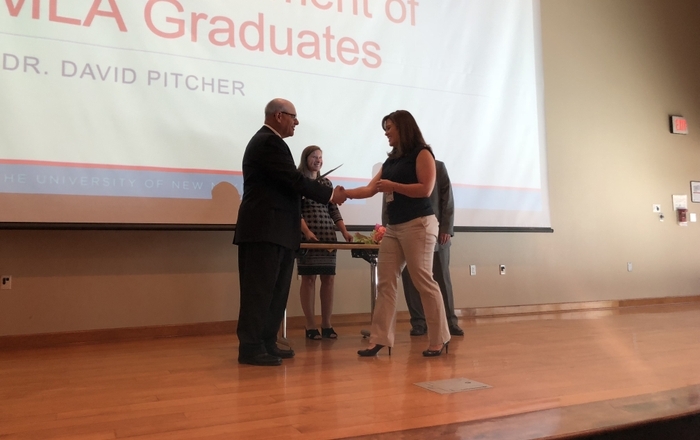 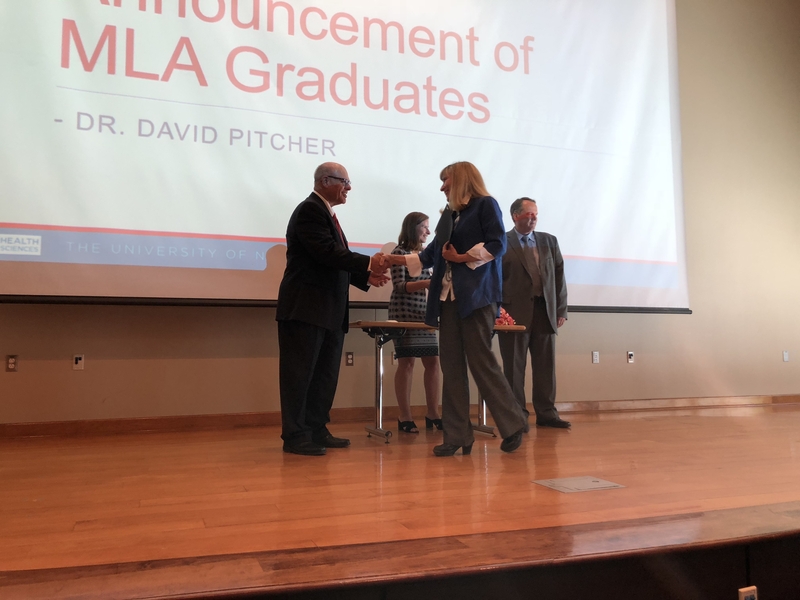 The graduating class of 34 represented a wide range of fields, such as Family & Community Medicine, the Office of the Medical Investigator, UNM Carrie Tingley Hospital and the College of Pharmacy. 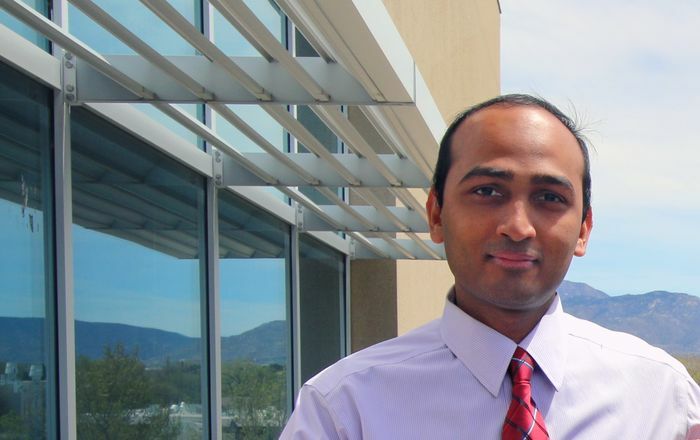 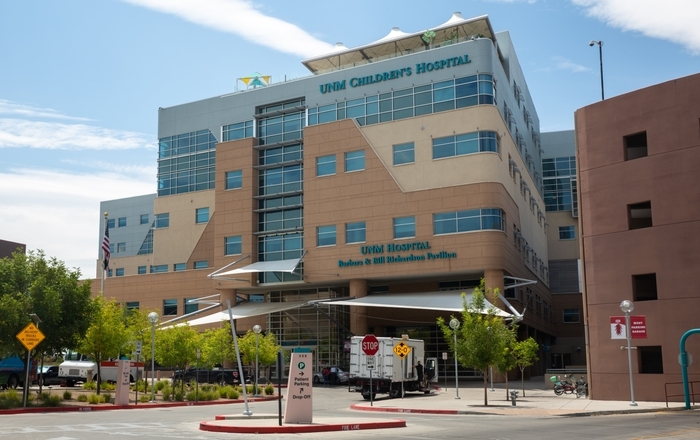 Using their unique skillsets, the participants broke up into quality project groups to find creative solutions for real problems in UNM Hospitals clinical settings. 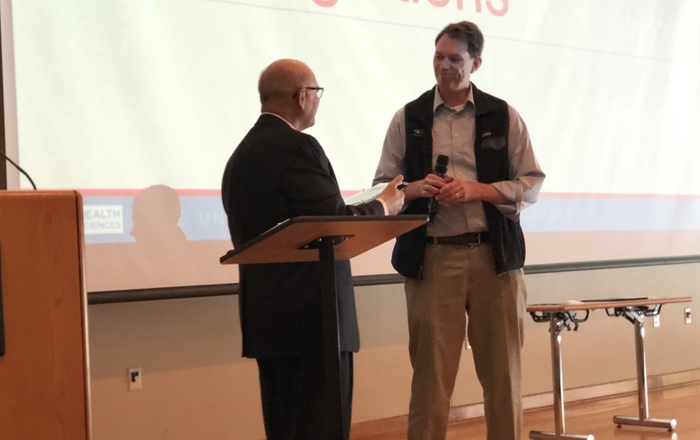 “This year several of the seminars addressed these significant issues, like sepsis in pediatric patients and how we treat them in the emergency room, first start patients in the clinic, how our organization deals with advanced directives and end of life,” Fritch said. 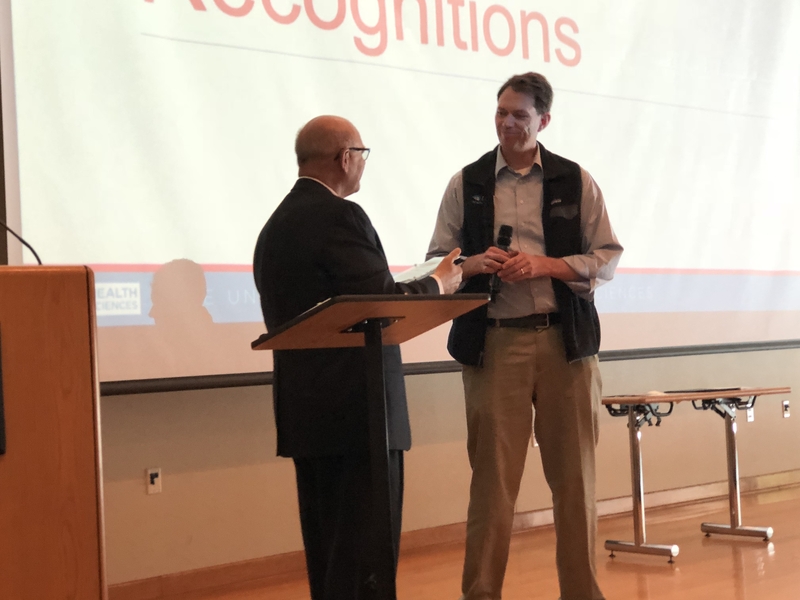 Baca said the solutions and ideas identified in the quality projects will have a direct impact on improving patient care and outcomes. 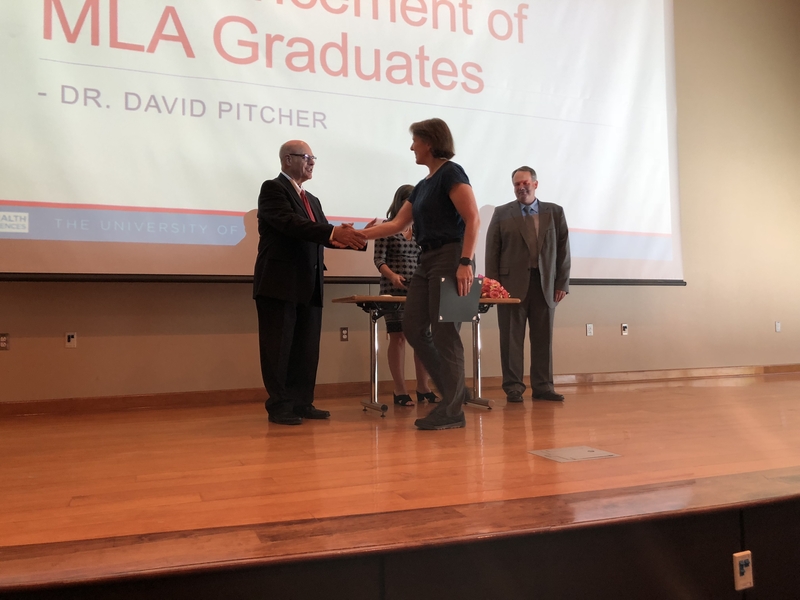 The academy not only focuses on problem solving, it aims to teach each leader how to effect change, whether they carry a title or not. 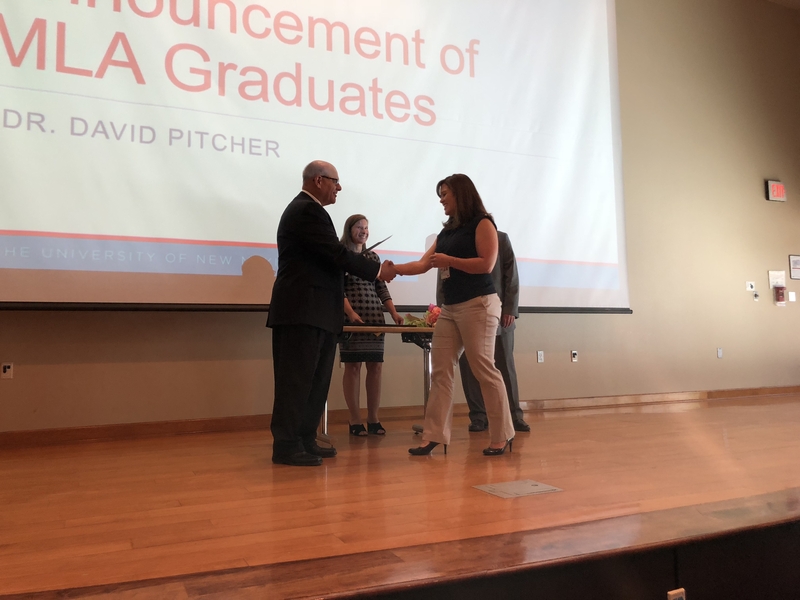 Fritch and other senior Health Sciences Center leaders are planning to expand the academy in future years.